Rick was born in Parry Sound on February 16, 1947 at St Joseph’s Hospital. The oldest son of Betty and Earl Thomas, Rick has three brothers, Paul, John, and Gord. Rick originally lived at the pumping station with his grandmother and grandfather. The family eventually moved to Foster Avenue, a small street off of Isabella Street. With a vacant lot in the backyard, playing softball was no problem and it was a perfect street for road hockey. 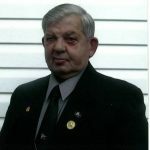 Rick attended Central, Gibson and Isabella Schools, and graduated from Parry Sound High School in 1966. Softball was his first passion and it was at a ball park where Rick met his wife to be, Marjorie, at Central School watching their fathers play for the Lakeland Motors softball team. It was here that Rick played in his first organized softball game when his father’s team was short one player. Hockey started in 1955, when Rick was about 8 years old as a minor squirt. For the 1956/57 season Rick was chosen by coach, Royce Tennant, to play with the squirt all stars. Rick didn’t play hockey for very long, but those years were very memorable to him, as Royce not only coached hockey but also softball during the summer. In 1962, Rick’s father and friend Bud Stevenson, both pitchers, organized a group to form a team that entered the men’s softball league. The next year, Bobby Orr and Rick were recruited by Mr. Allsopp to play Juvenile fastball in Mactier. Bobby played shortstop and Rick played first base. Mr. Allsopp arranged for a taxi to pick them up at the Creamery and return them to Parry Sound after each game and practice. In 1964, Brian and Wayne McKenna, and Sandy Heidman joined the Mactier team went on to win the All Ontario Juvenile “C” Championship. Marjorie and Rick were married in Parry Sound on July 10, 1970, and have two sons, Jeffrey and Steven. Rick began coaching after Jeff and Steve had played T ball for a year. 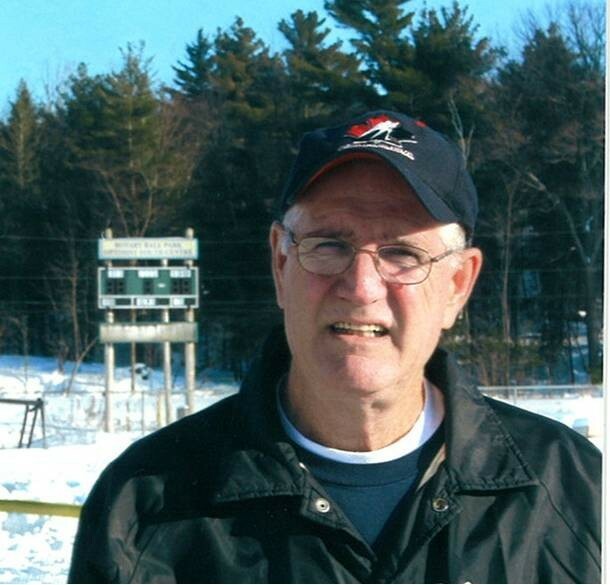 In 1988 with the help of Doug Grandy, they organized baseball in Parry Sound with about fifty players. The Optimist Club of Parry Sound bought all the equipment needed to get started. In 1989 baseball exploded in Parry Sound when over 400 kids registered to play. Coaches were brought in and clinics run to teach the skills of baseball to the kids. Doug and Rick attended coaching clinics in Southern Ontario to learn the techniques necessary to coach baseball. The first two years, the teams were competitive but were eliminated early in the playdowns. The 1990’s were very hectic for Marjorie and Rick. Whether it was baseball or hockey, Jeff and Steve, only played on the same team every other year. In the odd years, every week end, Marjorie packed up with Jeff or Steve and Rick left in the other direction with the other son. In1992 the bantams won the York Simcoe Championship and traveled to Exeter winning the All Ontario Bantam “D” Championship. This truly was the team’s “Field of Dreams”. The next week the players were celebrated by the town with a ride on the fire truck down the main street. In 1995 the Optimist and Rotary Clubs built a new and larger ball park so that the older kids could now play baseball. Rick arranged and organized that the York Simcoe Midget ‘C” Championship in Parry Sound. The Midget team won the tournament and went on to win All Ontario Midget “C” Championship in Tottenham. The win in Tottenham was special since both of Rick’s sons were on the same team. Rick acted as the manager for the hockey teams that Jeff and Steve played on. 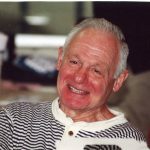 Along with Rob Knox, Rick organized many hockey tournaments between 1988 and 1994 winning the 1993/94 Bantam “B” Regional Silver Stick in Penetang. In September 1994 Rick received a phone call from Minor Hockey’s Steve Crookshank asking Rick if he would be interested in coaching the midget rep team. After some lengthy discussions Rick was persuaded to coach the team with the help of Steve and Rob Knox. Rick went to Junior “A” practices for two months, three days a week to get some idea of what he was supposed to be doing. Going into the OMHA play downs, it was decided more experience was needed on the bench, so Terry Campbell was asked to give a hand. In 1995 the OMHA All Ontario Midget “B” Championship title was secured. In 1996 Steve and Rick were joined by Hugh Bailey, who was Rick’s trainer for the next twelve years. In 1997, the OMHA All Ontario Midget “B” Championship was again secured. After the 1997 baseball season, Rick’s sons Jeff and Steve,, went away to school to play baseball, and Rick took the year off to allow him time to travel to watch them play baseball in Georgia. In the 1999/2000 season Rick was joined by Dave Nicol as his assistant and in 2001 they won the regional Silver Stick in Penetang and went on to Sarnia where they won the Midget “B” International Silver Stick. The team had three players selected for the all star team.. When the bus arrived home, the team was met at the outskirts of town and escorted to the BOCC where a junior game was interrupted to congratulate the players. In 2001, Tim McWhirter and Rick joined forces and began coaching together with Hugh Bailey continuing as trainer. In the 2005/2006 season they lost in overtime to Orillia in the finals of the regional Silver Stick in Midland, and made a strong drive to the OMHA Ontario Midget “BB” Finalists, losing to Petrolia in the fifth game. Rick was appointed as Coach Mentor for Parry Sound Minor Hockey in 2007 and coached until 2008 when he decided that his time as a coach was over. Rick is still the Coach Mentor and is often at the arena helping coaches with practices as well as watching minor hockey games. While working for Transport Canada, Rick and his brother in law Randy, produced a DVD on the 100 years of the Coast Guard in Parry Sound. In the past few years Rick and his Uncle Dave made several DVD’s depicting the history of Parry Sound, Nobel, Depot Harbour, and Point au Baril. Rick worked for Transport Canada for 26 years and retired in September 2008. After a trip to Ireland with his wife, he decided to spend his spare time writing a book on the history of hockey in Parry Sound. 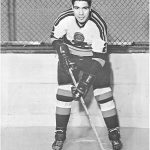 Using the photos from his Uncle Dave’s collection, Rick researched hockey history in Parry Sound and recently completed his book “Early Hockey Years in Parry Sound, Part 1, 1896-1942. Rick is currently working on Part II, 1942-1972”. On May 2, 2008, Rick and Marjorie became grandparents. MacCabe Martin Richard Thomas was born and named after his great grandfather, Mac Childerhose. Rick and MacCabe went to their first ball game in June 2009 and don’t be surprised if in four or five years a new coaching career may start for Rick, this time in Atlanta, Georgia. Rick has provided incredible service to the sporting youth in our community and is a role model who has persevered for many years with class and dignity.